Andrew Ganz November 27, 2018 Comment Now! 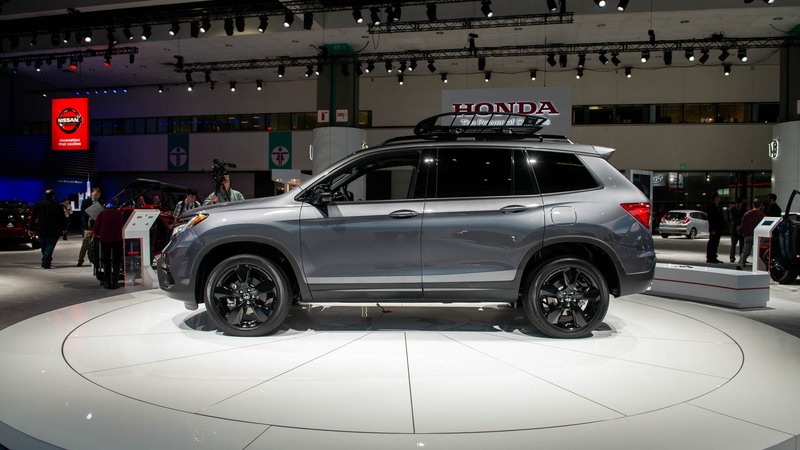 The 2019 Honda Passport unveiled Tuesday in Los Angeles shares only its outdoorsy attitude with the last Honda to bare the Passport nameplate. The 2019 Passport's Pilot-sourced underpinnings will be familiar when it goes on sale in early 2019. However, the Passport is six inches shorter than the Pilot and has seating for five in two rows, unlike the three-row Pilot. The new Passport will come standard with front-wheel drive and will offer all-wheel drive with a handful of slippery conditions traction modes as an option. Honda's 3.5-liter V-6 rated at 280 horsepower in the Passport shuttles power to the wheels via a 9-speed automatic transmission. All-wheel-drive versions have 8.4 inches of ground clearance, nearly an inch more than Pilots and front-drive versions of the Passport. Combined with shorter overhangs than the Pilot, the 190-inch-long Honda Passport should split the difference in terms of off-road ability between the like-sized Jeep Grand Cherokee and Ford Edge. Front-drive Passports can lug a 3,500-pound trailer, while all-wheel-drive versions are rated at 5,000 pounds. 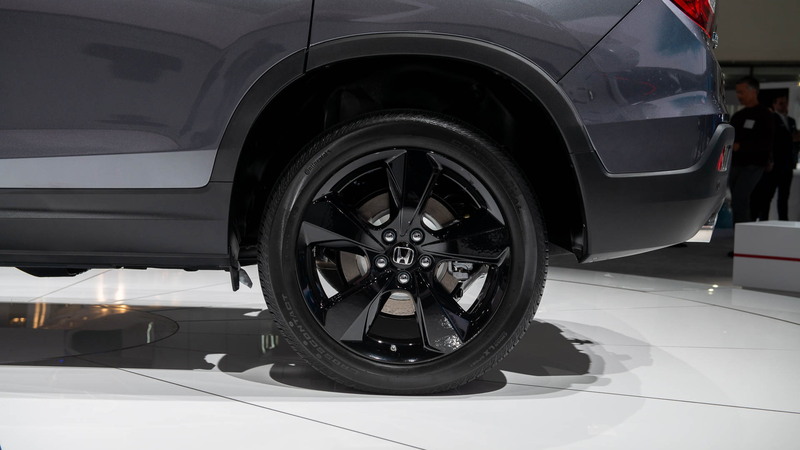 All versions ride on 20-inch alloy wheels, although range-topping trims have larger tires for a more rugged appearance and better rock-crunching comfort. 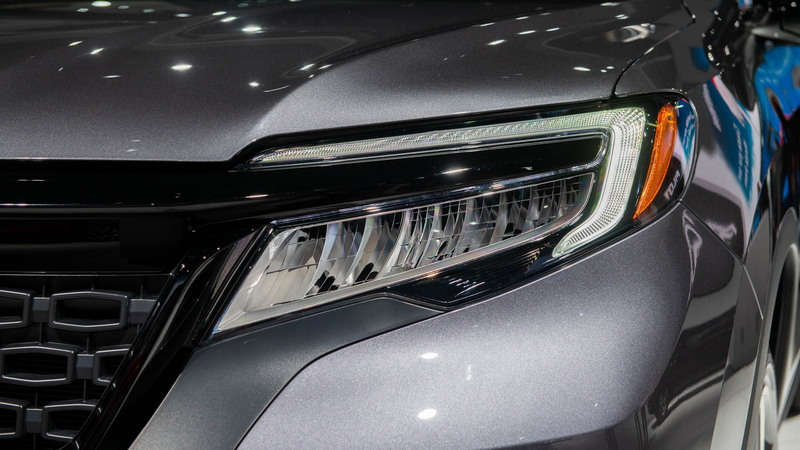 Honda hasn't announced fuel economy figures for the new Passport. Most versions of the Pilot are rated at around 22 mpg combined and it's unlikely that the Passport will be much different. The Passport's interior boasts a 100 cubic-foot maximum cargo capacity with the rear seat folded flat. With the rear seat upright, its 41.2 cubic-foot rating bests like-sized rivals. Cloth upholstery comes standard on the Passport Sport, while the higher EX-L, Touring, and Elite trim levels have leather upholstery. Pilot Sports use a basic 5.0-inch display for their audio system, but other trims use an 8.0-inch touchscreen with Apple CarPlay and Android Auto compatibility. Features such as an 11-speaker audio system and a wi-fi hotspot antenna with optional monthly service from AT&T are exclusive to higher trims. Standard fare on all includes a suite of active safety tech including automatic emergency braking, lane-departure warnings, adaptive cruise control, and active lane control. Blind-spot monitors come standard on EX-L and higher trims. 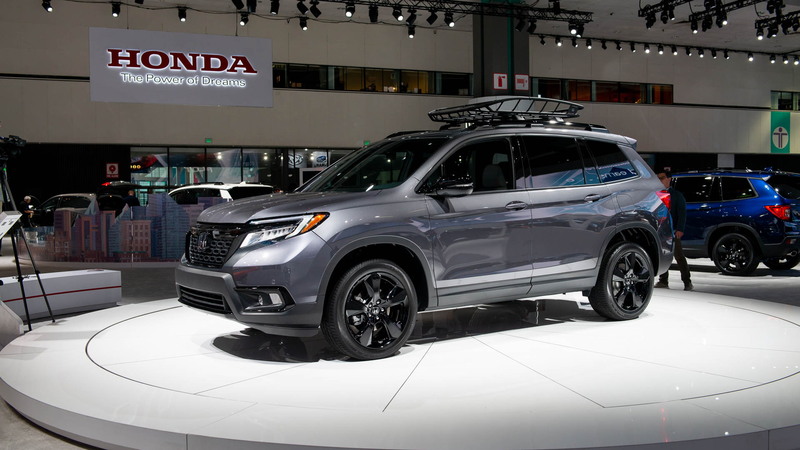 Rounding out the list of features inconceivable when the Isuzu Rodeo-based Honda Passport SUV first arrived in the mid-1990s is a standard 7.0-inch configurable TFT screen in the vehicle's instrument cluster. 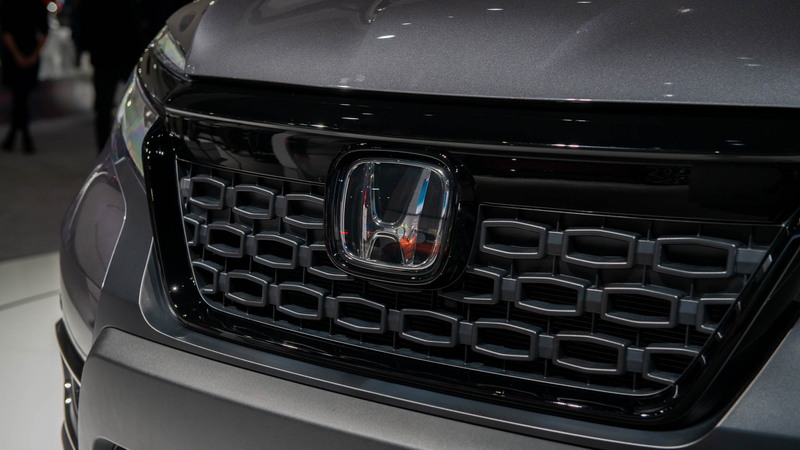 Honda has not yet announced how much the 2019 Passport will cost.